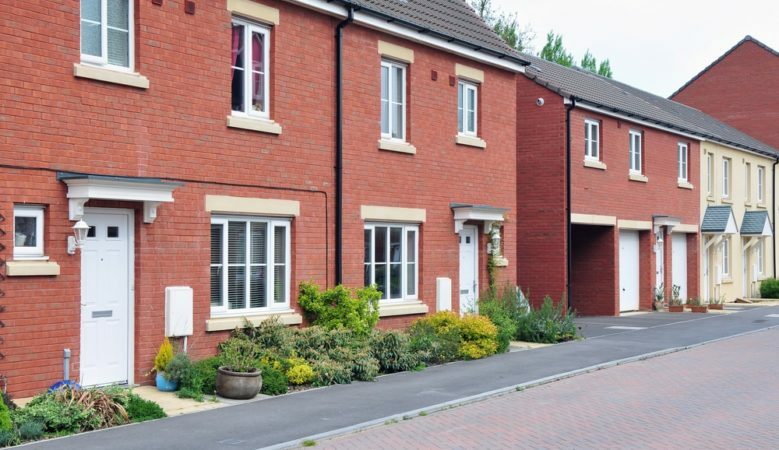 Higher house prices in England and Wales are helping second step buyers to move up the housing ladder but many are staying put because of various challenges, new research has found. In particular second steppers are concerned about finances and lack of movement in the housing matter, prompting some to renovate rather than sell and move, according to the research from Lloyds Bank. Some 39% are worried about further interest rate rises as a result of the first increase for a decade last November and indications that there might be two rises this year while 35% believe it will be more difficult to sell their home this year. Second steppers are mostly couples and young families moving on from their first-time buyer homes to secure more space and a garden. The latest figures show a lack of confidence about selling among this group, despite significant improvements to market conditions over the past five years. However, strong house price growth has helped those still living in their first homes gain a healthy equity windfall as today’s typical Second Steppers bought their first property in 2014, when the average price of a first time home stood at £167,137. Based on the latest house prices figures, selling their home for the average first time buyer house price of £211,296 would provide them with an average equity injection of £85,877 for their next home. That’s grown from £68,629 four years ago. The gap between the sale of their current property and the cost of their preferred home, usually a detached property, is now £135,985. However, the average equity level of £85,877 can help reduce this gap by 63%, meaning that second steppers need only add an extra £50,108 to their existing mortgage. However, across the country, there are significant regional variations in the size of this gap. In Northern Ireland, people will need to find £73,499 extra to make the step to their desired second home. At the other end of the scale, people in London need £330,599 to make the jump. The report also reveals some optimism as 40% believe the market conditions for second steppers has improved compared to last year and 52% feel there are now more first time buyers in the market, up from 43% in 2016. Some 52% also think the stamp duty changes announced in the Budget last year will increase the number of first time buyers entering the market even further. ‘Second steppers are optimistic about the market conditions, which are now better than they’ve been for over five years, and with many building up substantial equity in their homes and more first time buyers entering the market, their next move may not be far away,’ said Andrew Mason, Lloyds Bank mortgages director. ‘However the interest rate rise we saw late last year marks the first increase first time sellers have seen since becoming home owners and even though it was small it has caused some concern,’ he added. The research also shows that town living is attractive to 48% of second steppers while four in ten opt for a village location. Under a third, 31%, plan to relocate to the countryside and city life appeals to 27%. The survey reports that buying a period property or a new build home remains the dream for over a third of second time buyers at 37% and 36% respectively, with a quarter looking for a recently developed or renovated property. Some 21% are looking to put their DIY skills to the test and buy a property needing renovating. However, some 64% have regrets about their first property purchase, with over a third wishing they had bought a bigger property. Just over one in 10 admit that they rushed to get on the property ladder and bought their first home without looking at the details.